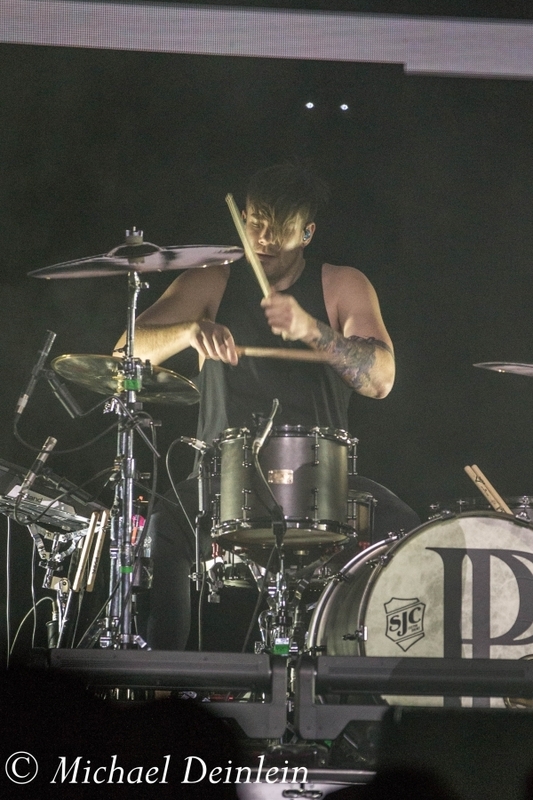 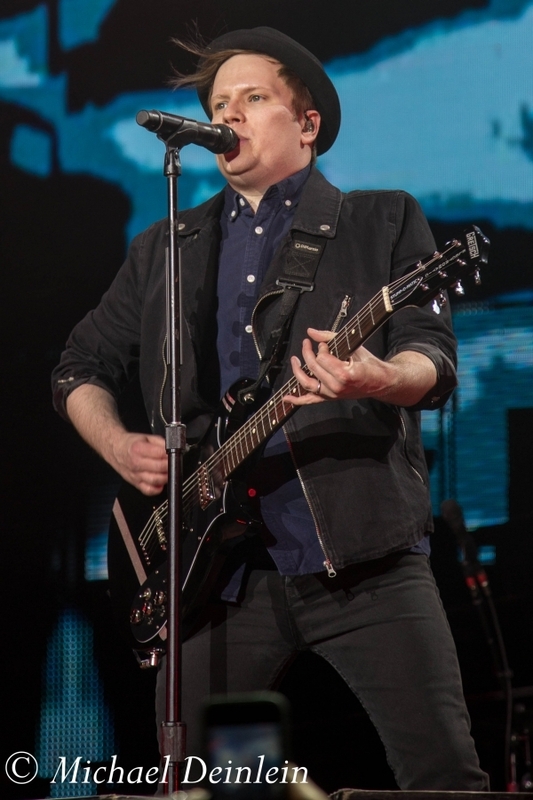 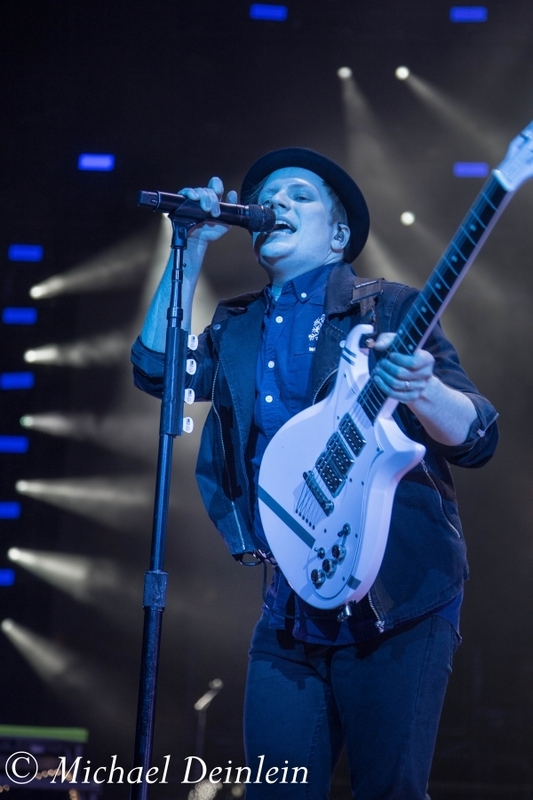 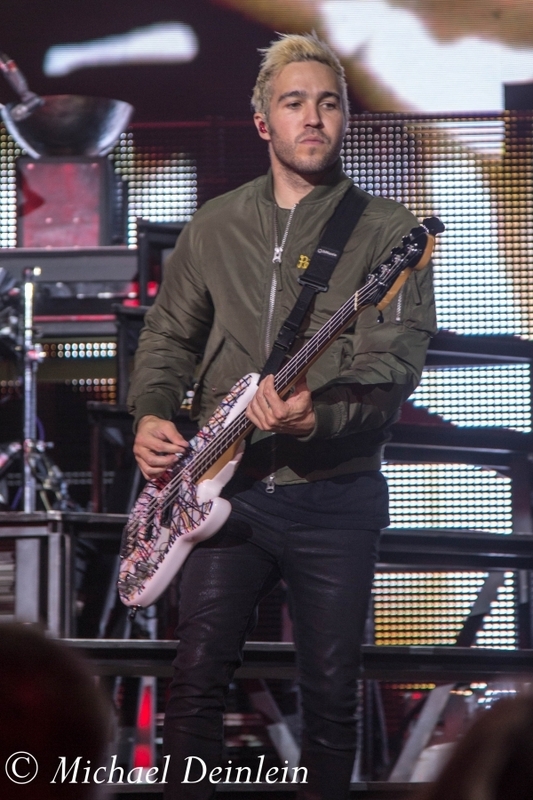 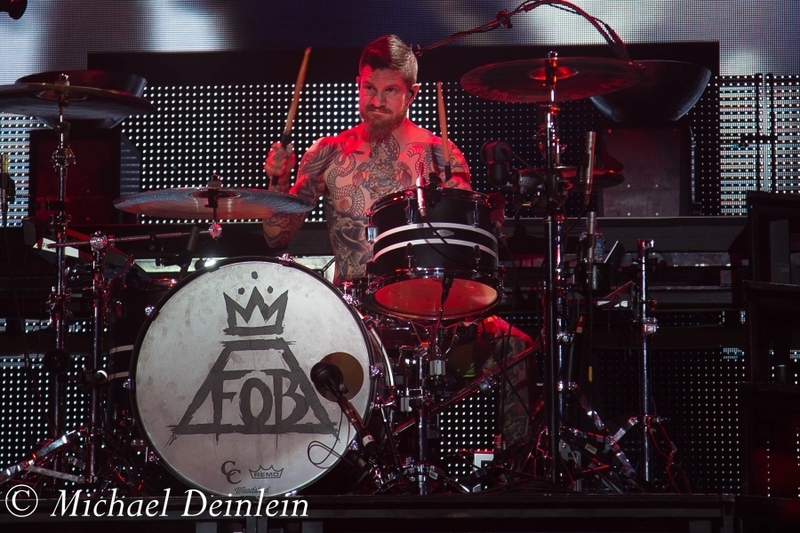 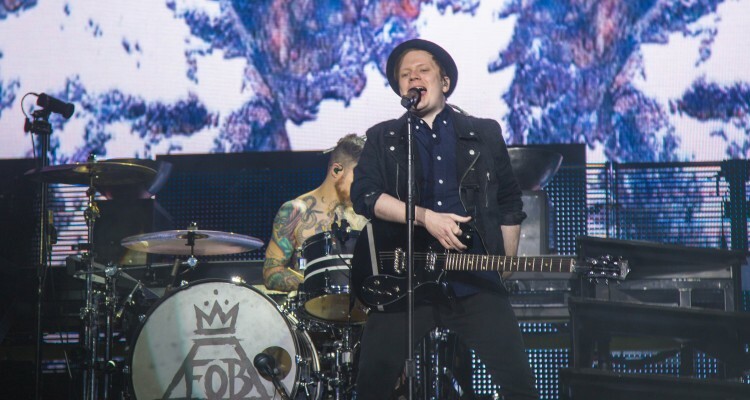 Fall Out Boy simply shines at the KFC Yum Center in front of a packed house with Awolnation and Pvris. 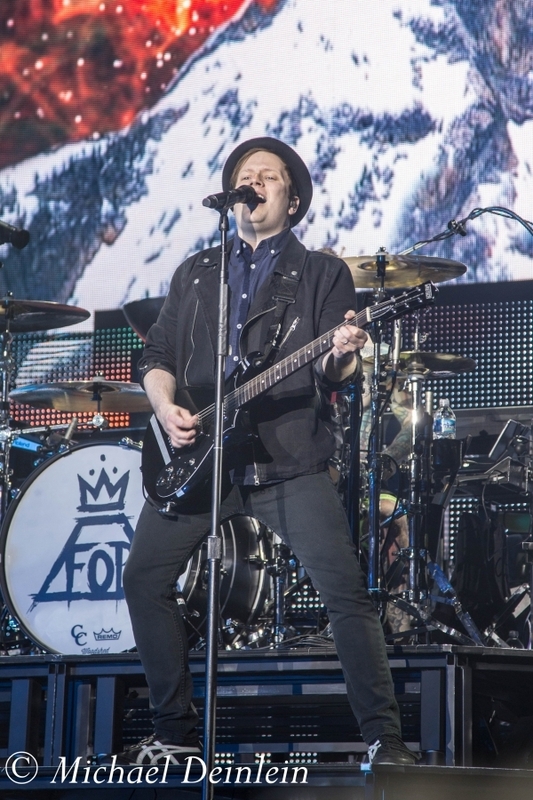 There is a definite buzz and electricity in the KFC Yum Center as the time approaches for Fall Out Boy to take the stage. 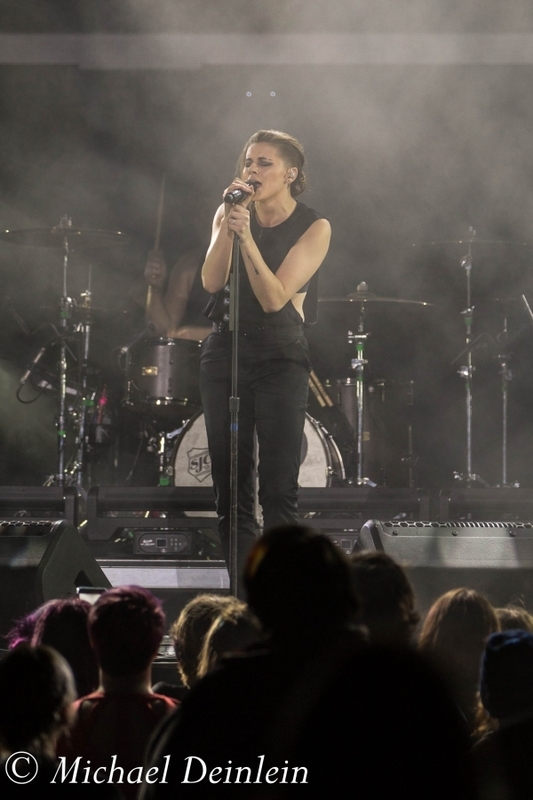 Â The crowd is a mix of young fans with parents mixed in with some older adults. 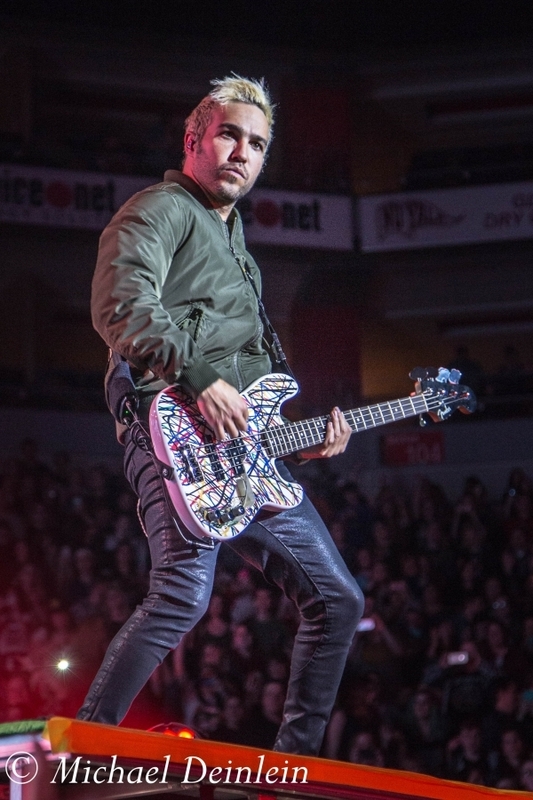 The stage is fan friendly, Shaped like a “V” extending far into the middle of the arena with a couple of bridges to allow for access to the “pit” area in front of the stage bringing the guys up close and personal. 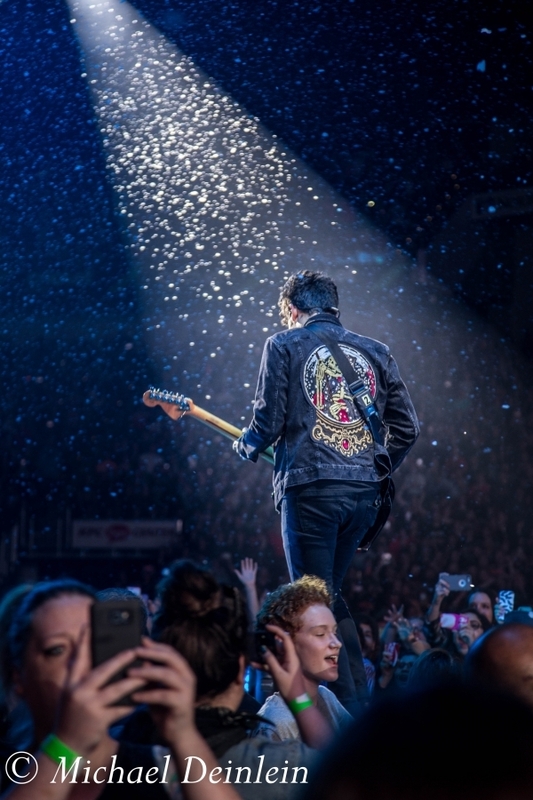 As the lights drop and the stage curtain falls, snow begins to fall from the rafters; the roar of the crowd welcomes Fall Out Boy. 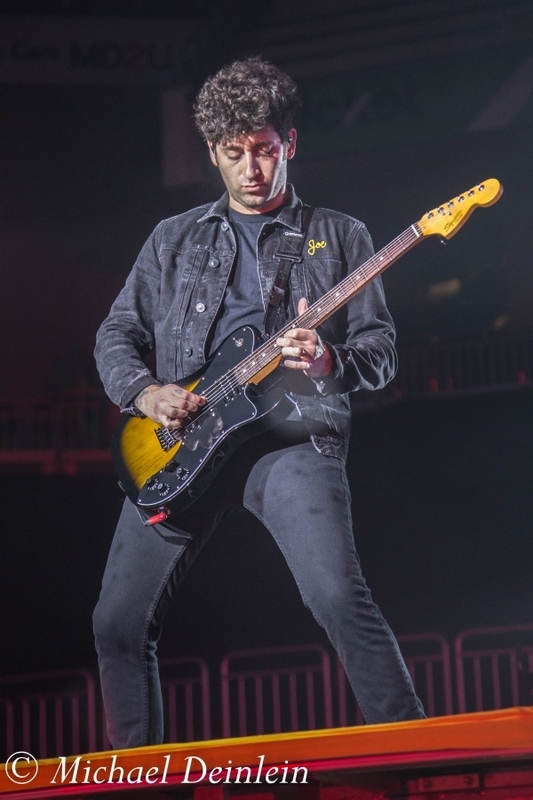 As expected, guitarist Joseph “Joe” Â Trohman, bass playerÂ Peter “Pete” Wentz, and singer/guitarist Â Patrick Stump are all over the stage getting as close to the fans and giving as much energy as humanly possible. 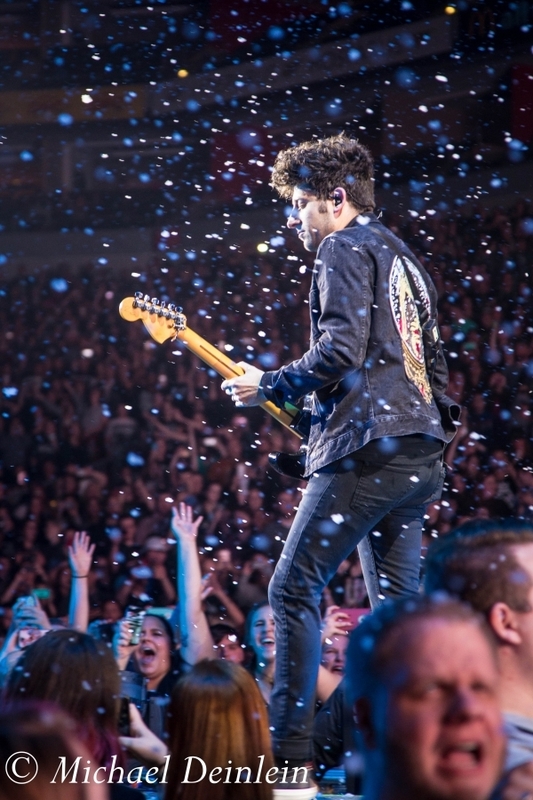 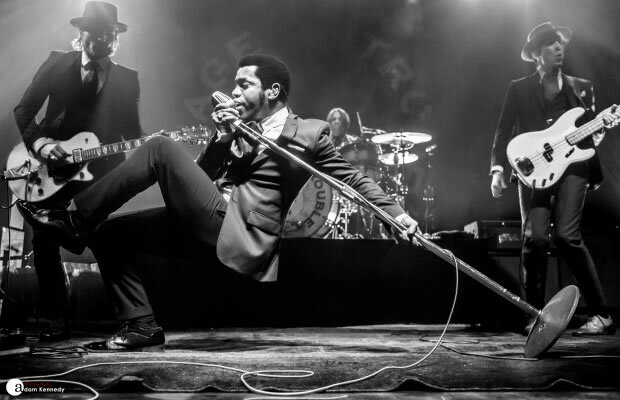 Fans responded enthusiastically, the entire arena singing and moving along with the music.Â Â The guys stopped briefly in the middle of this run to take an awesome selfie with the crowd in the background â€“ It was a fun show moment. 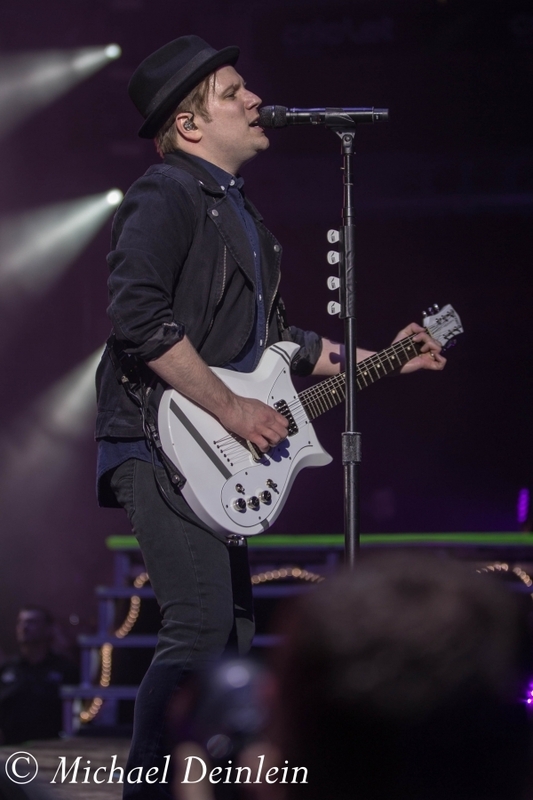 The crew rolled a piano out to center stage where Patrick launched into to fantastic rendition of “Disloyal Order of Water Buffaloes.” At mid-song, the rest of the band joined in as streamers fell from the rafters; it was another memorable show moment. 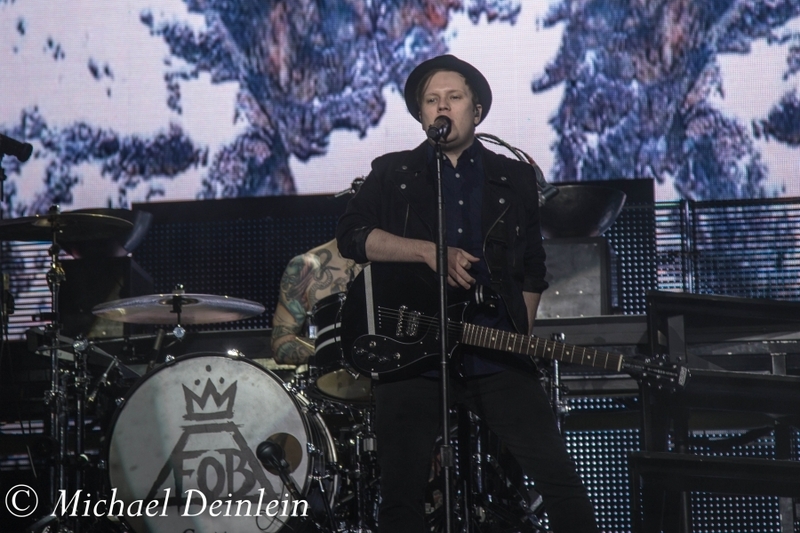 The piano stayed as Fall Out Boy performed “Save Rock and Roll,” complete with a picture of the late David Bowie on the giant screen; it was a touching and poignant moment of the evening. 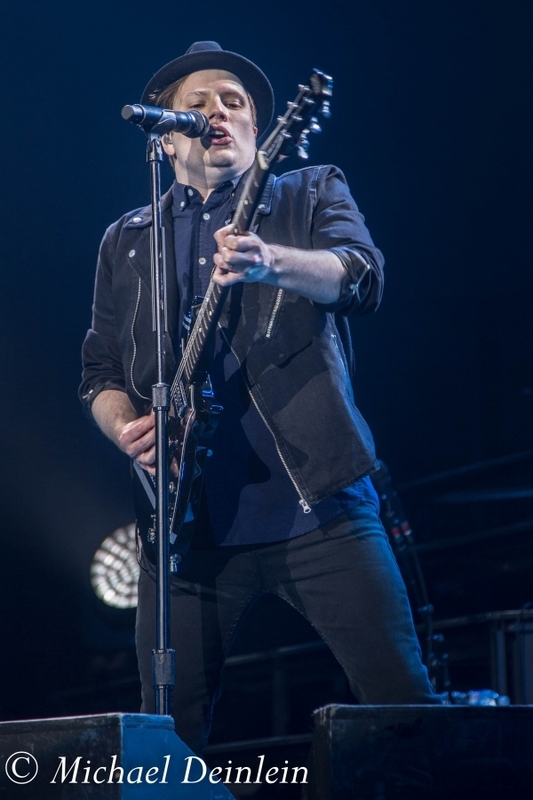 Capitalizing on the energy in the arena, Fall Out Boy performed an older, sing-along song, “Grand Theft Autumn/Where Is Your Boy.” Fans accompany every word, clearly pumped at hearing this track from their first album. 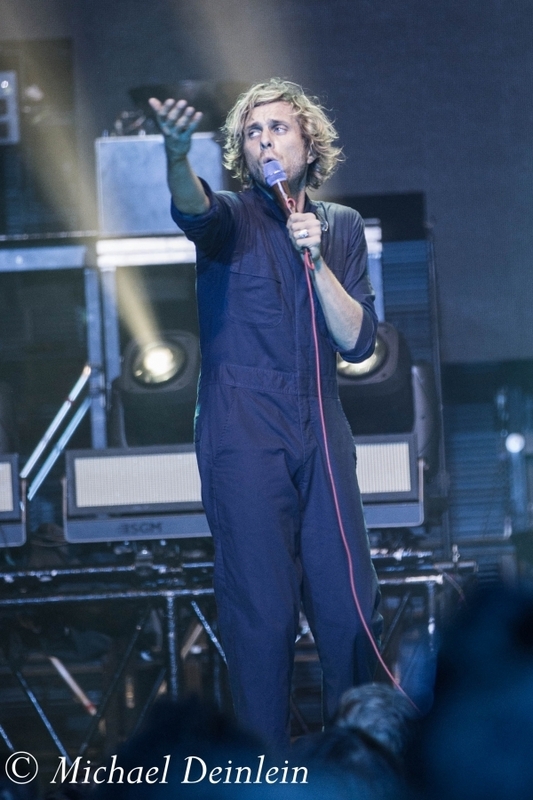 Far from done for the evening, Pete introduces the next song as “A badass vigilante for all of you badass women out there” as the familiar chords ofÂ Pulp Fiction and Uma Thurman fill the arena to the delight of many. 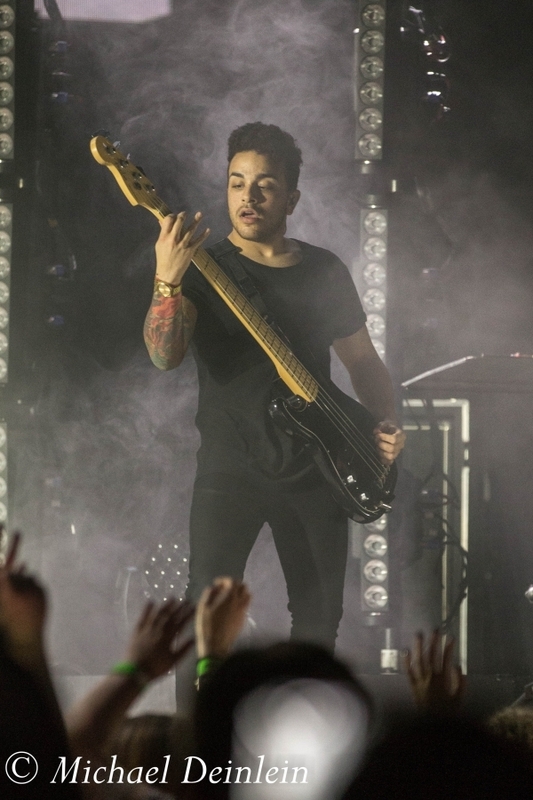 They follow with “Dance, Dance” and “American Beauty/American Psycho,” as several large balloons fall from the rafters and laser lights create an incredible visual experience. 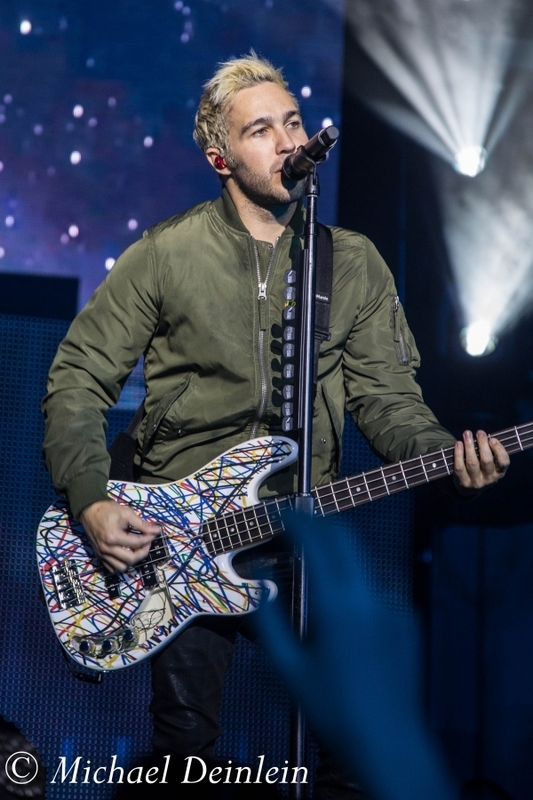 Before their final two songs, Pete takes a quick minute to address the crowd with some words of appreciation for the evening along with some positive words; “Your latest failure will be the last failure before your first success.” It is a powerful statement and another great show moment. 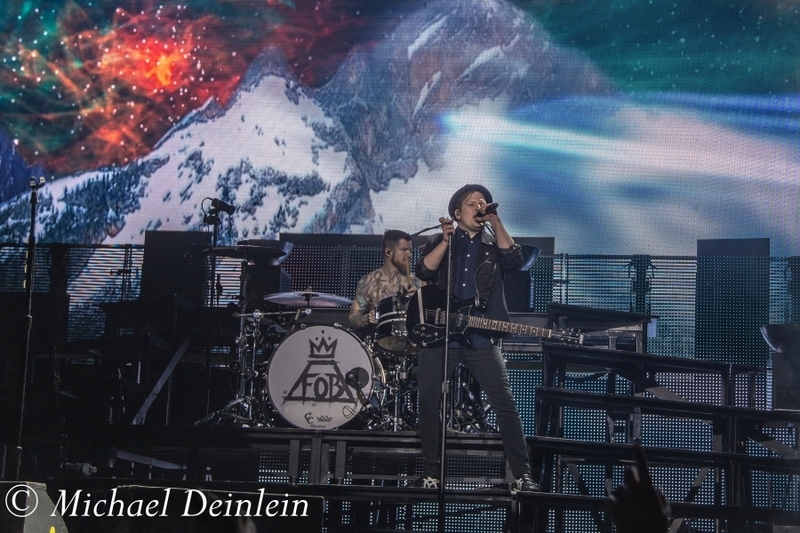 The band finishes with “Thanks for the Memories” and “Centuries,” complete with pyrotechnics. 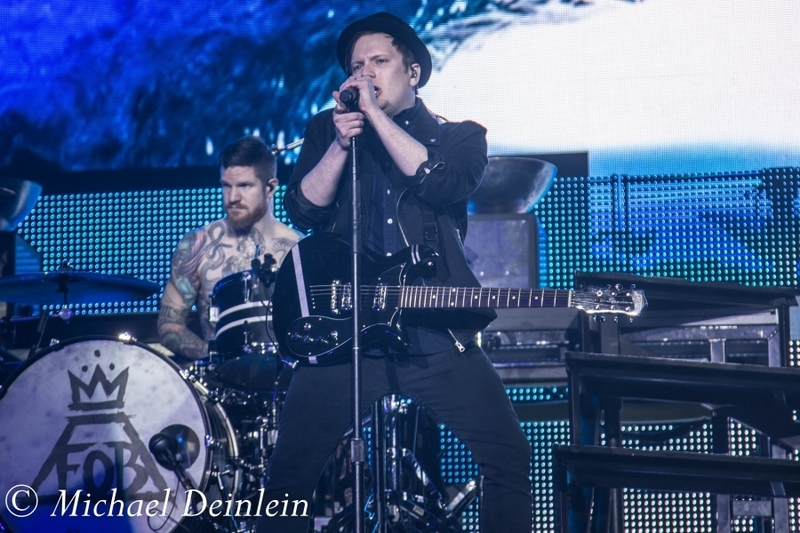 All in all the twenty-two song, almost two-hour long Fall Out Boy show was simply fantastic. 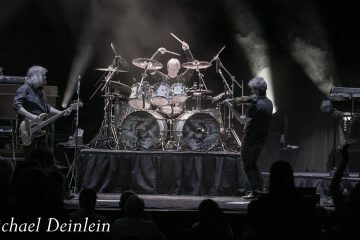 It was a special evening full of memorable moments, great music, and positive messages. 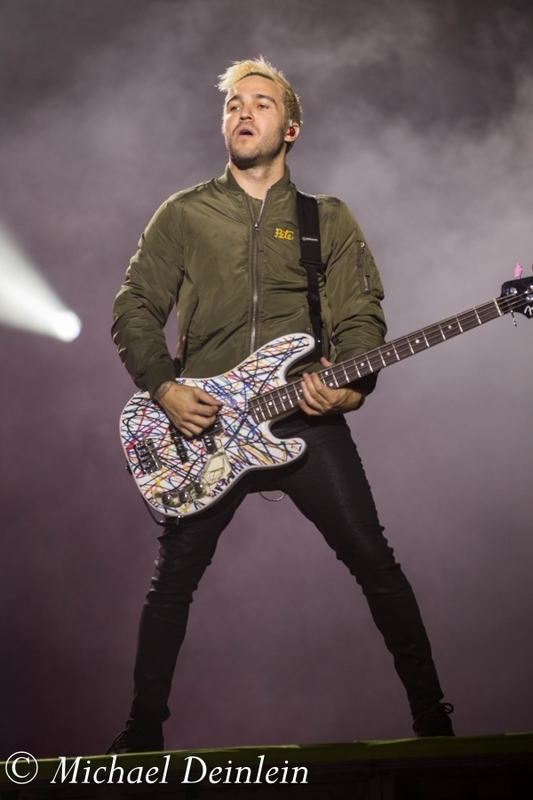 Fall Out Boy is Andrew Hurley (drums), Joseph Trohman (guitar/vocals), Patrick Stump (vocals/guitar), and Peter Wentz (bass/vocals). 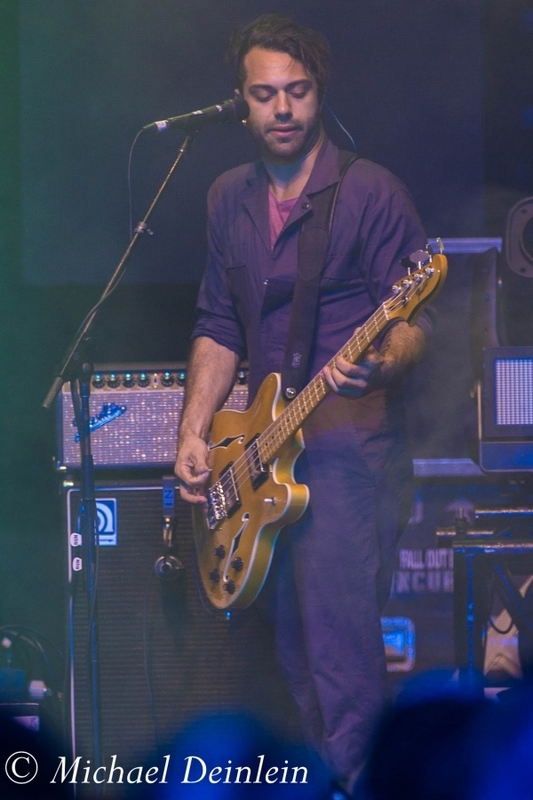 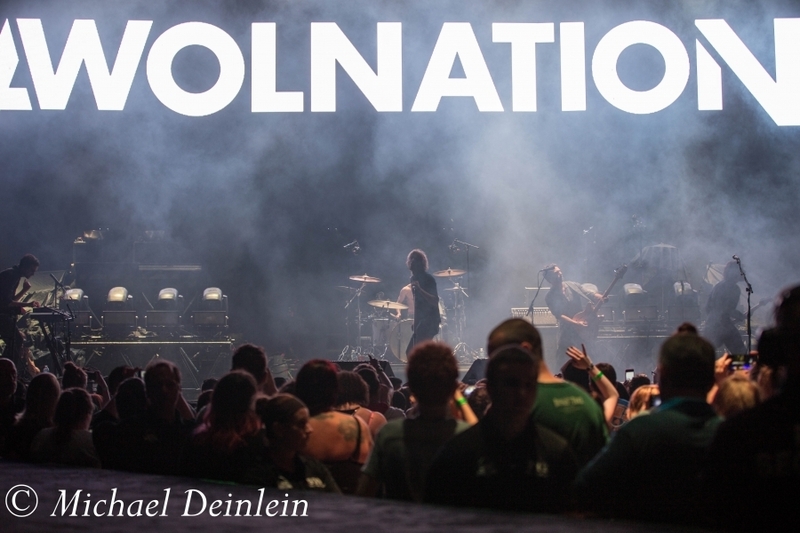 Los Angeles-based electronic rock/indie rock group, Awolnation, provided the main support for Fall Out Boy. 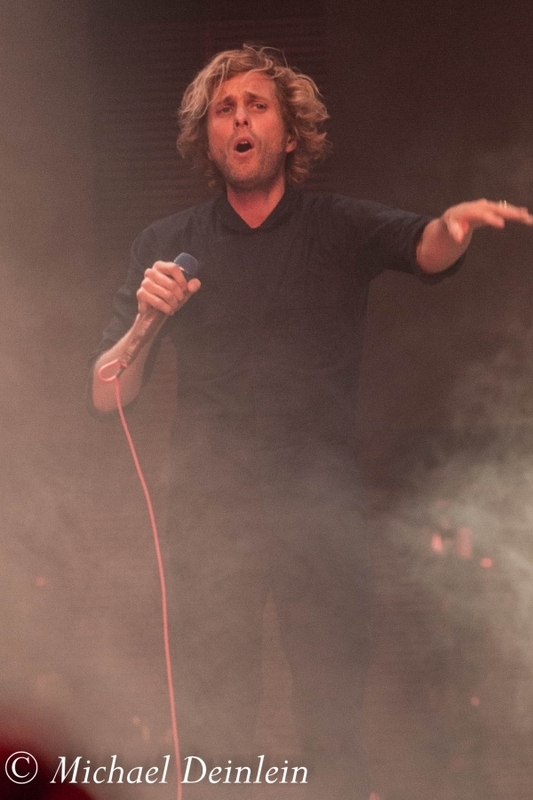 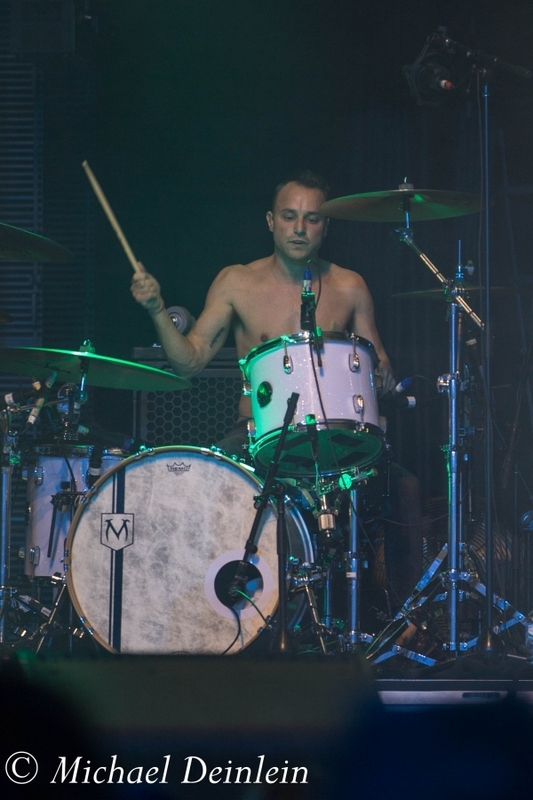 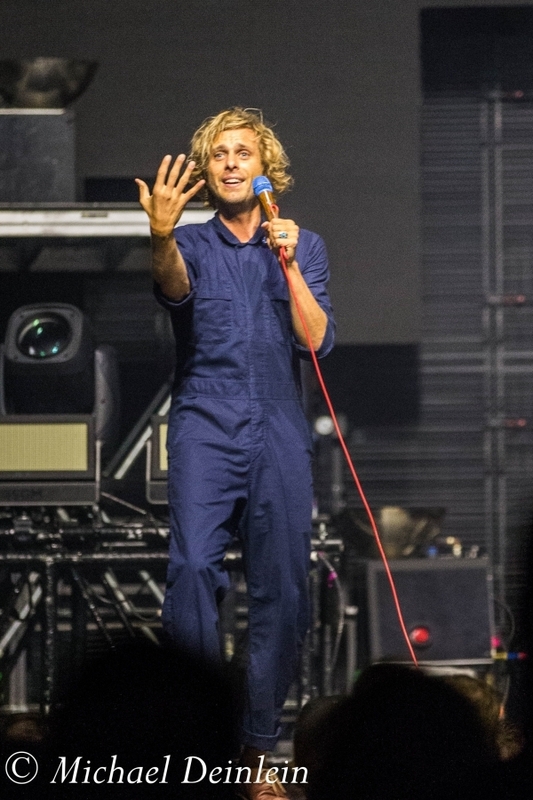 Awolnation started their forty-five minute, nine-song set in dynamic fashion performing their single, “Hollow Moon (Bad Wolf),” from their newest album, Â Run. 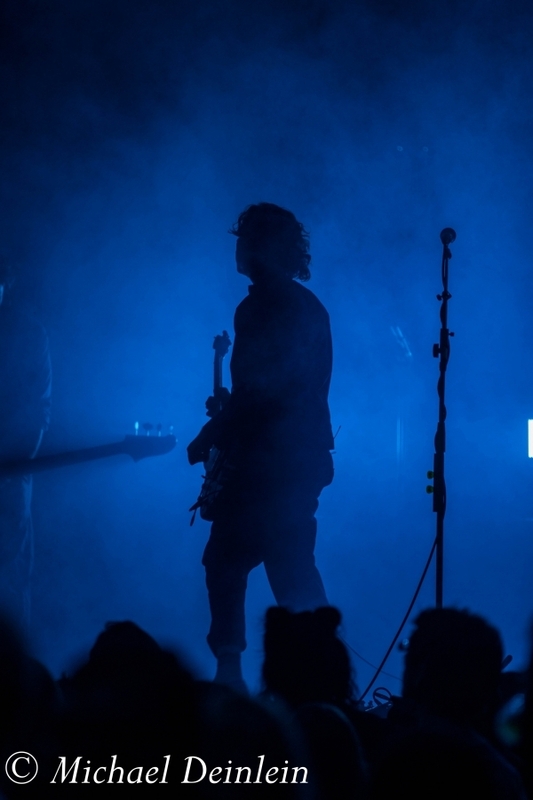 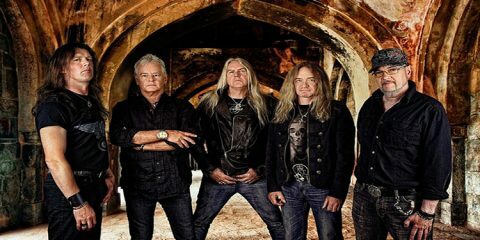 They followed with “Not Your Fault” and “Windows,” the later also from the Run album. 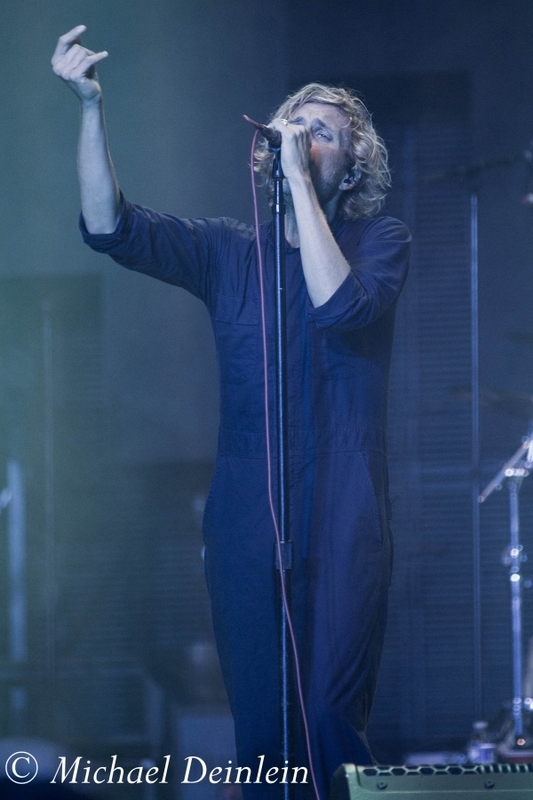 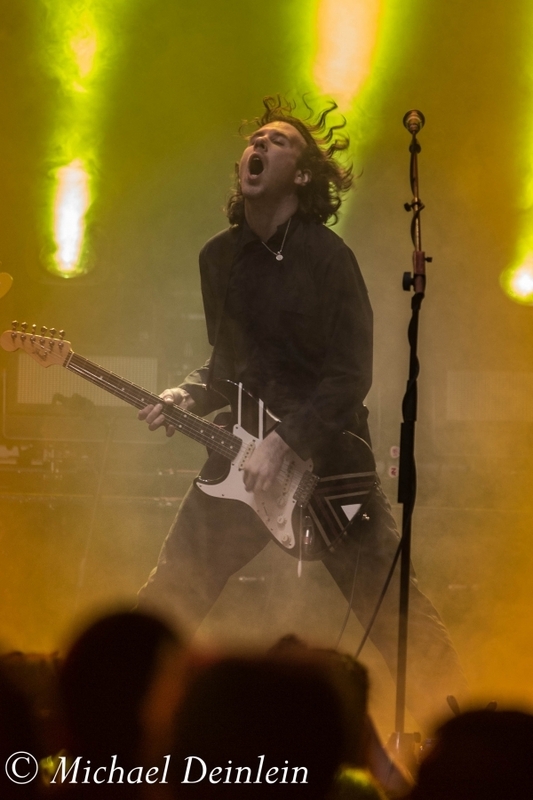 Their high energy set also included “Kill Your Heroes,” “Woman Woman,” and “I Am,” showcasing their intense style and relentless stage energy.Â Awolnation finished their set with “Burn It Down” and “Sail” from their debut album, Megalithic Symphony. 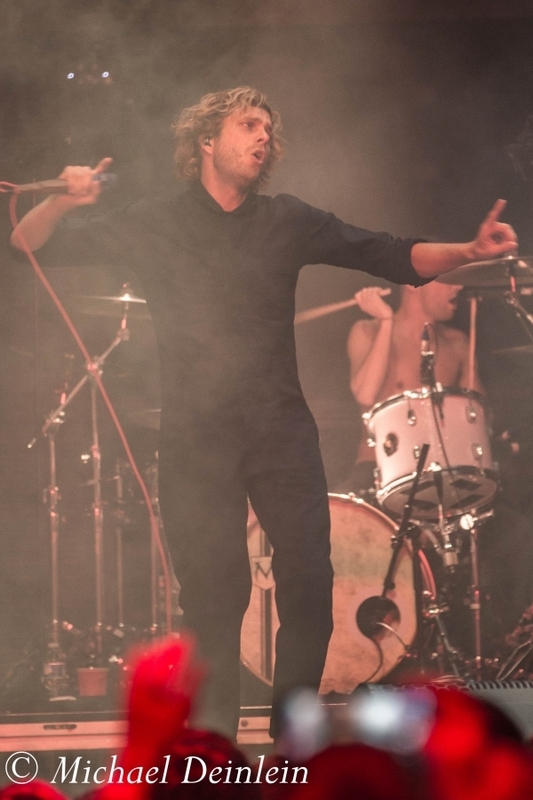 It was a classic Awolnation set â€“ thoroughly satisfying those in attendance. 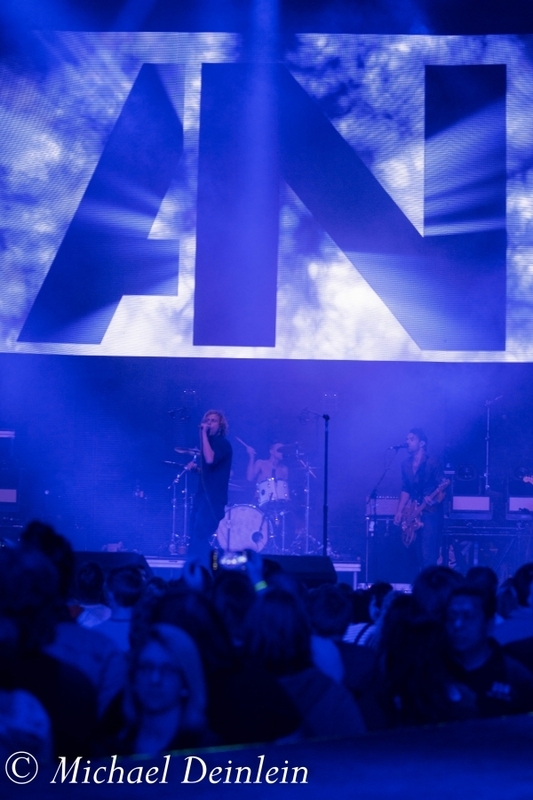 Â Awolnation is Aaron Bruno (vocals), Kenny Carkeet (guitar),Â Zach Irons (guitar),Â Isaac Carpenter (drums), and Marc Walloch (bass). 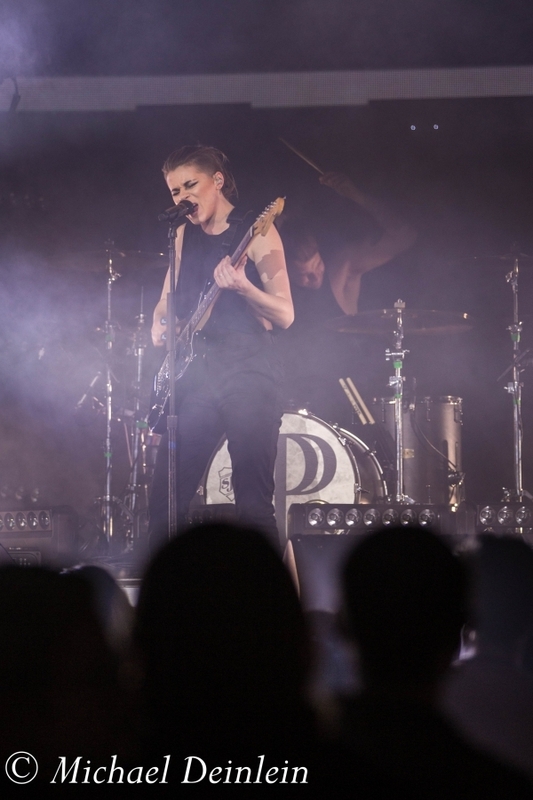 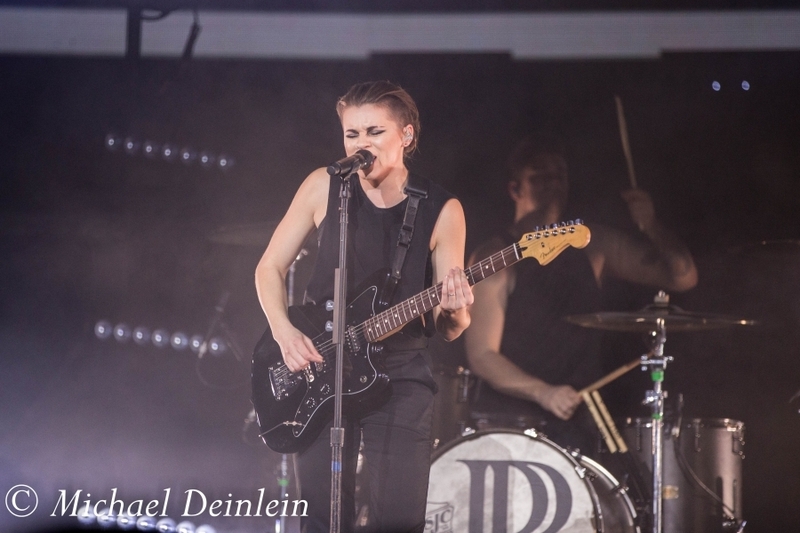 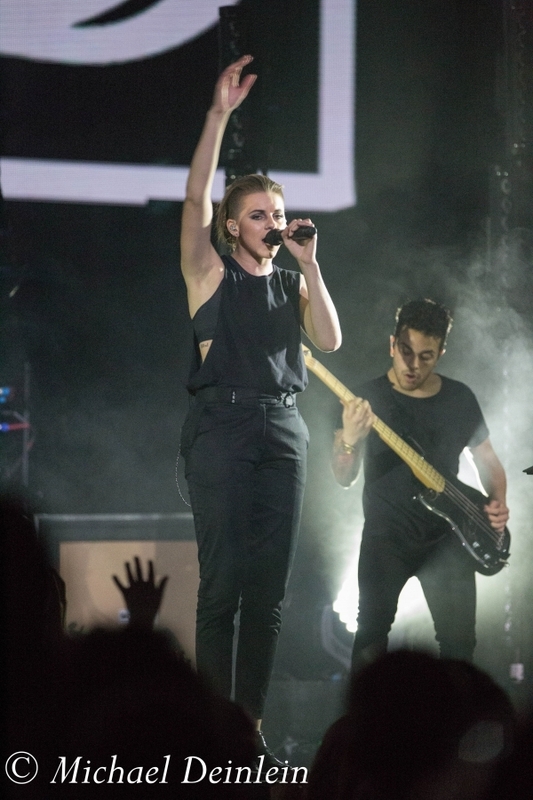 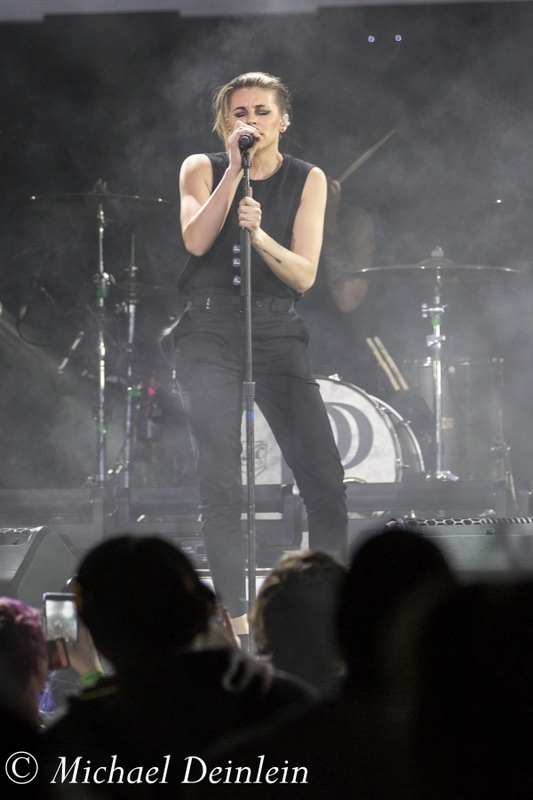 Opening tonight’sÂ show was Massachusetts-based alternative rock band, Pvris . 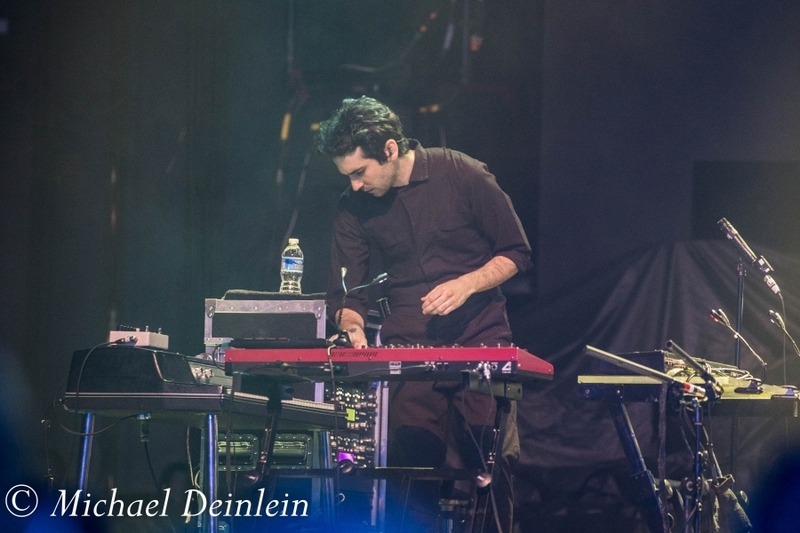 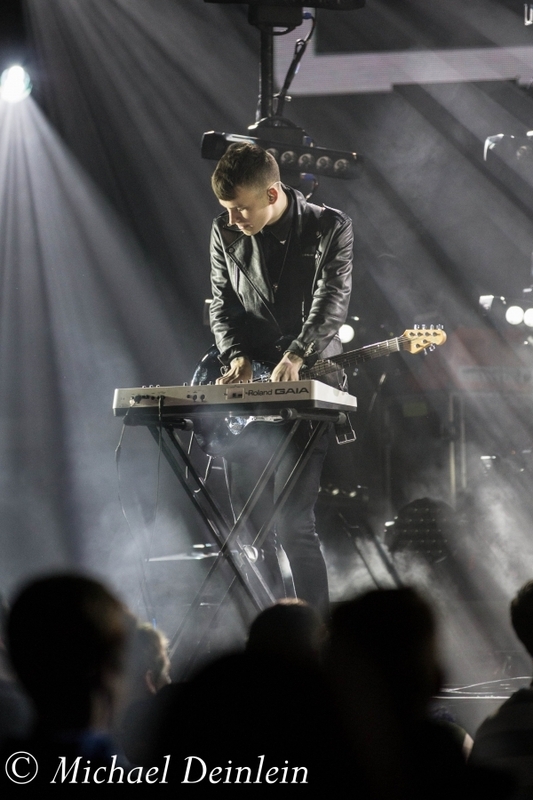 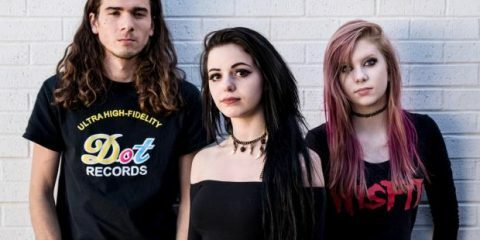 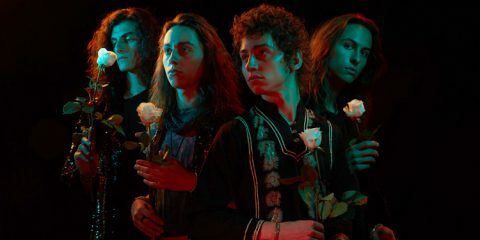 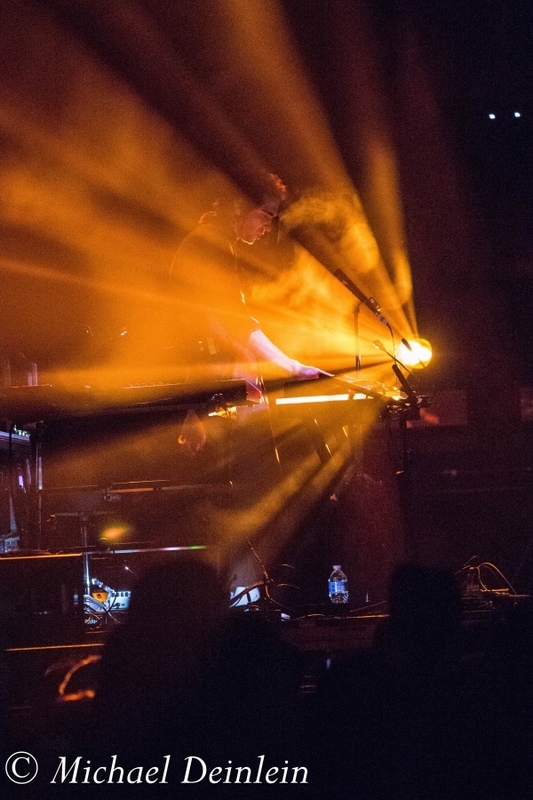 Their thirty-minute set opened powerfully with the title track from their debut album, White Noise, a mesmerizing mix of soaring vocals with electronic tones that were well received. 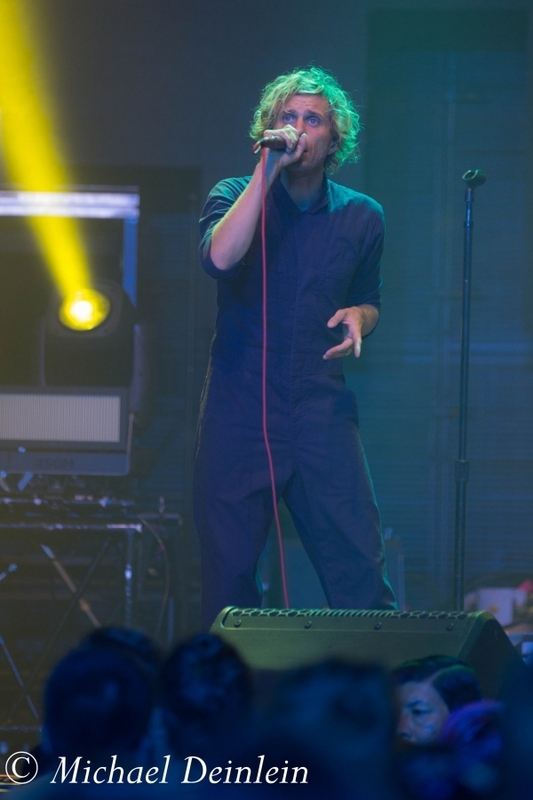 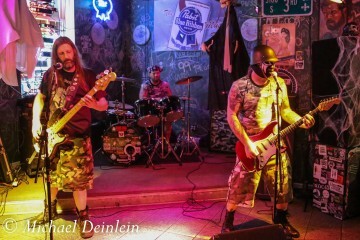 Their set also included their single “St. 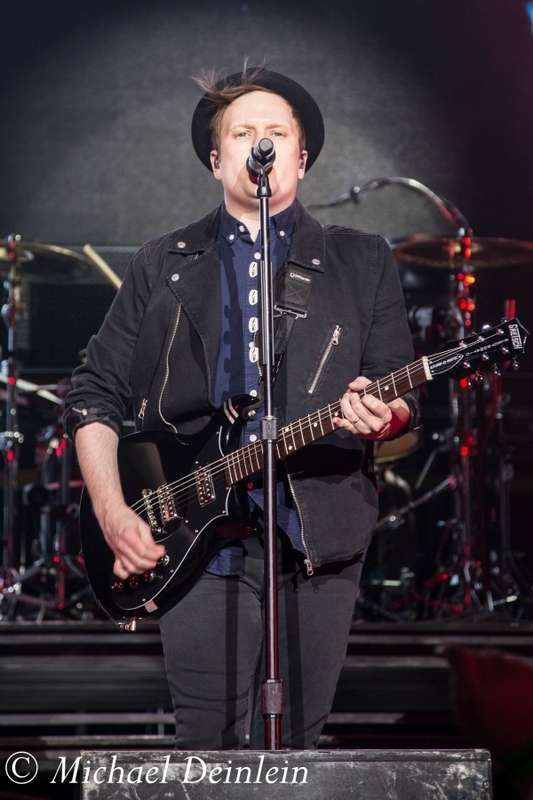 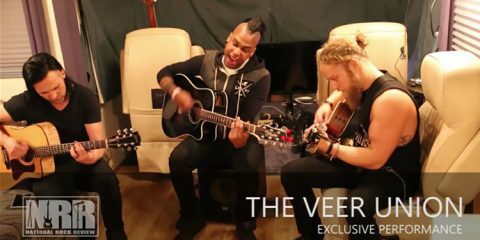 Patrick,” “My House,” and “Fire,” along with their new single, “You and I”. 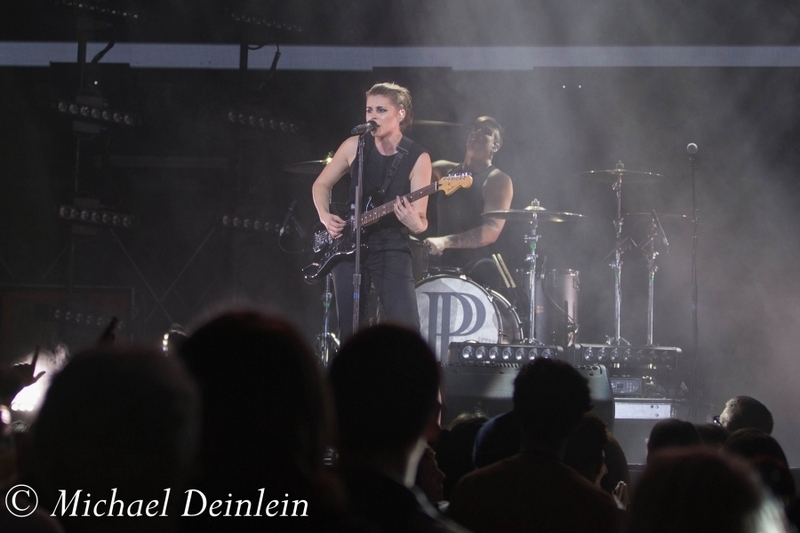 It was a treat to see Pvris, and it is clear they are destined for bigger things in the future.